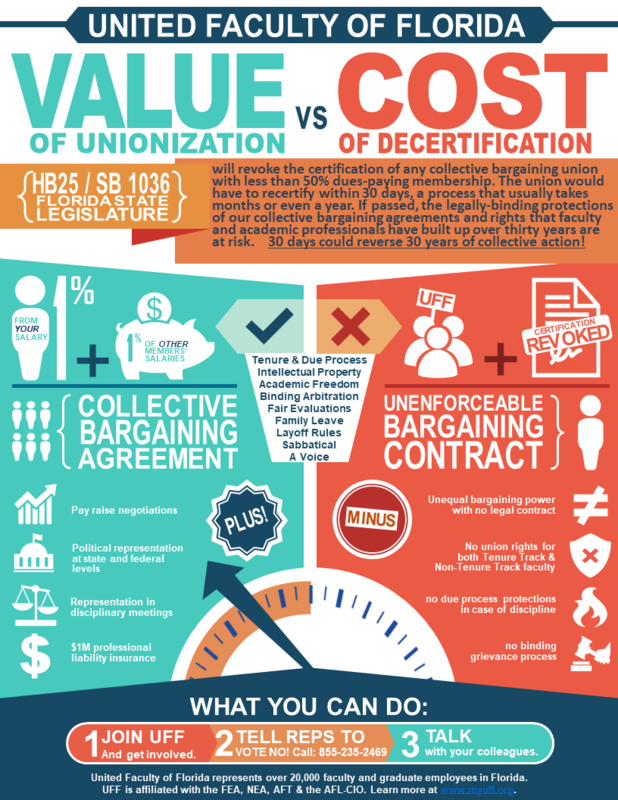 United Faculty of Florida » Help build your union: It’s more important than ever! 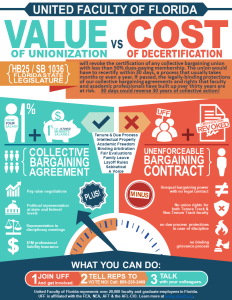 A new education law that passed the legislature this month may put your contract and collective bargaining rights in peril. UFF is working with our organizing, legal and policy experts from our state and national unions to help formulate a response. Regardless of this particular new law, or any attacks from politicians, we need a stronger union that has over 50% of the eligible faculty enrolled as proud members. Now is a great time to work on that! UFF chapters are growing and getting more active all around the state and we’ve learned from their successes and weaknesses. Valerie Wilk (National Education Association) and Candi Churchill, professional higher education union organizers with over 40 years experience between them, are available to go with you to help activate more members in your area or meet new hires in your area or another part of campus. Alternatively, they are available to meet with you and give you an update and discuss the new bill that COULD threaten our union and contract and how the chapter is preparing.